Sending to more than 15 gift addresses? 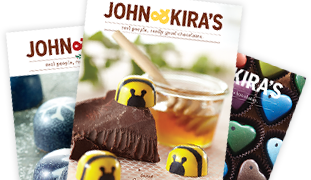 When complete, email your spreadsheet to our Business Gift Specialist at business@johnandkiras.com with the subject "New Large Order From [Company Name]." Your order will ship within two business days. Important: Remember to save the spreadsheet to your local hard drive before emailing! Our online shopping cart can accommodate an unlimited number of recipients.